"It was as breathtaking as seeing a natural wonder. They come in different colors, design and X-Factor..."
It is not the usual way. Yes it is not. 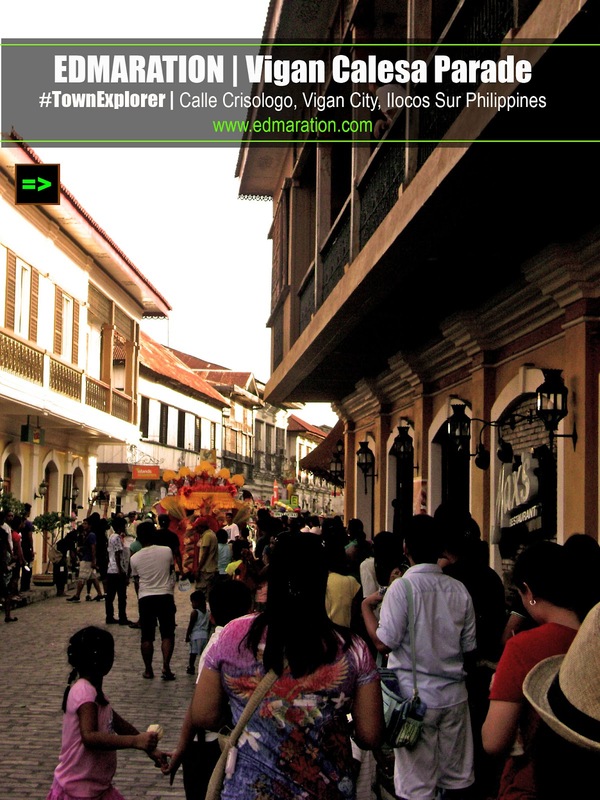 Vigan, being one of the few remaining old towns in the Philippines where calesas are still present in the streets, seeing a calesa with the traditional Abel Iloko fabric, some vegetables and farm products, fruits, the Vigan Longanisa and the Vigan Bagnet hanging as decorations is a thing you should not miss. Sadly (not really sad), it only happens once a year. 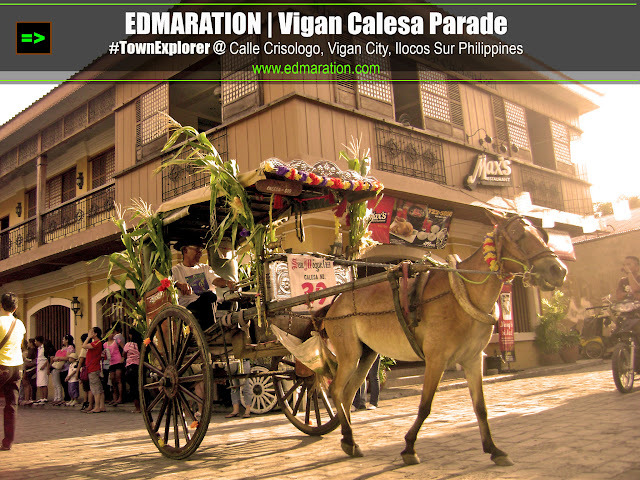 Unknown to many, calesas in Vigan are also used for commuting but usually, tourists use it as a way to experience and enjoy Vigan. 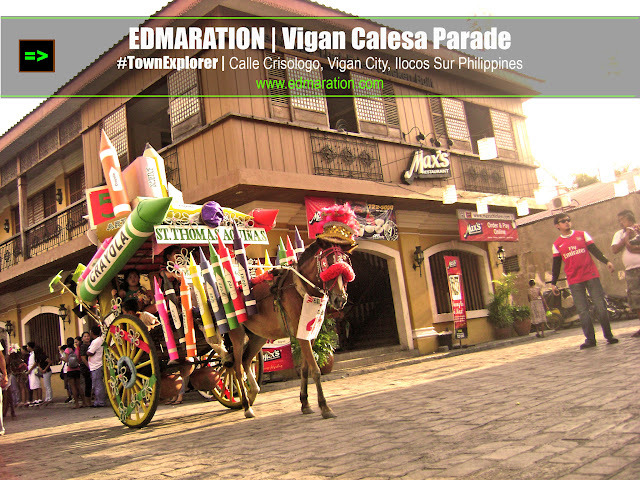 There happened a Calesa Parade and what a nice experience to see this parade at the Calle Crisologo itself. It was as breathtaking as seeing a natural wonder. 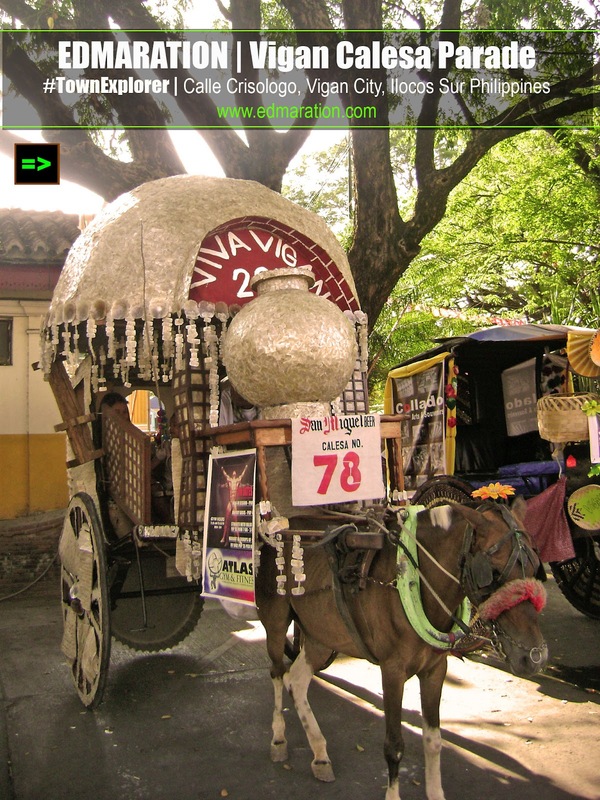 They come in different colors, design and X-Factor on which Pilita Corrales would love I bet, and Gary V would have his concert while riding a calesa in an imaginary way. But of course if there is such a thing as beautiful, there is also a thing called more beautiful but definitely there can be beautifuler if I want to use that, by the way I coined the name edmaration, don't I (blah blah)? 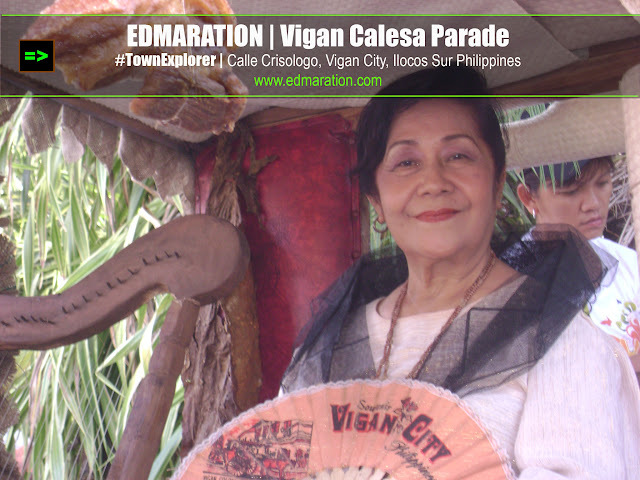 Lola, the muse of this calesa above, was smiling sweetly. She was so confident to pose before the lens. I love lola! She has this potential, I mean... yes! A potential to be a muse if ever I am making sense out of here. And then this calesa came with a "dome" labeled with Calesa No. 78. A large burnay is also placed prominently. There is also a muse inside but it was camuse (camera shy + muse). And suddenly, the parade began. A series of calesas have been coming with identical X-Factor and some don't have muse inside but surely people are still amused. But there are PasaMuse (Passengers acting as if like a muse) and Kutse-not-muse (Kutsero without a muse). And more calesas came with different versions of their muse. 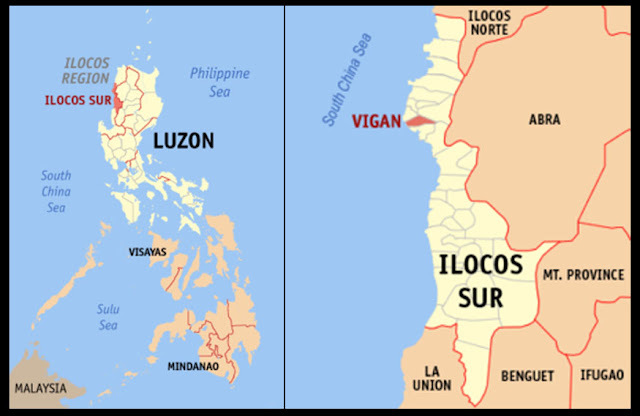 I have included a map, just in case you're not familiar with a place called Vigan although your diet is Vegan on which it has a slight variation in terms of the usage of vowel. Cris | PinayThrillseeker | Uy, naka-akyat ka na ng Bundok Apo 'di ka pa nakasakay nito? hehe. May thrill naman ito eh, Hahaha! Cris | Pinay Thrillseeker | Haha! Ayun naman pala eh! Yuin oh! 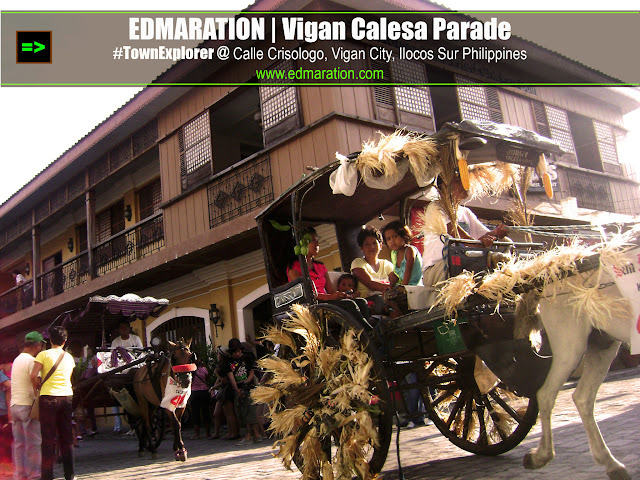 First time to hear about the Calesa Parade. Those rides are pretty! One parade I'd love to attend someday.